For Viola. By The Beatles. Instrumental Play-Along. Classic Rock, Britpop, Psychedelic Rock and Play Along. Viola solo songbook (softcover) and accompaniment CD. 12 pages. Published by Hal Leonard (HL.841625). Instrumentalists will love playing along with these 11 favorites. Includes an accompaniment CD with full backing tracks. Great backing, but the solo viola parts should all have been printed an octave up. Lennon and McCartney is great if you are a fan. Songs from Yesterday to Eleanor Rigby will leave you wanting more! 27 of 60 people found this review helpful. These pieces work very well in a quartet setting but not as viola solos. 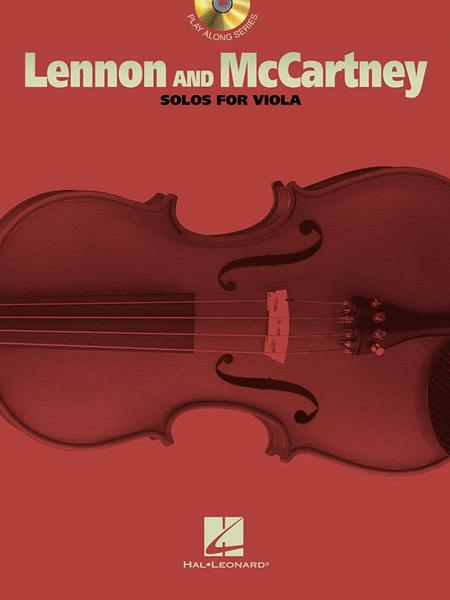 I recommend playing the Beatles strings quartets and using the Lennon and McCartney solos as a learning tool NOT performance pieces. I really enjoyed playing the songs, especially "Yesterday", because they were already popular so I knew what they were supposed to be sounding like. Found it pretty simple though, I still liked it. I'd suggest it for anyone who's still learning! 30 of 59 people found this review helpful.